MIAMI, FL — The 2018 NCAA Baseball Super Regional continues on Saturday with a loaded schedule, as teams go in search of wins for different reasons. After Friday’s Game 1s from four different areas, action in the Austin Super Regional, Fayetteville Super Regional, Gainesville Super Regional and Lubbock Super Regional will begin. Mississippi State, North Carolina, Washington and Oregon State are all just one game away from securing a place to the College World Series, following respective wins in Game 1 on Friday. 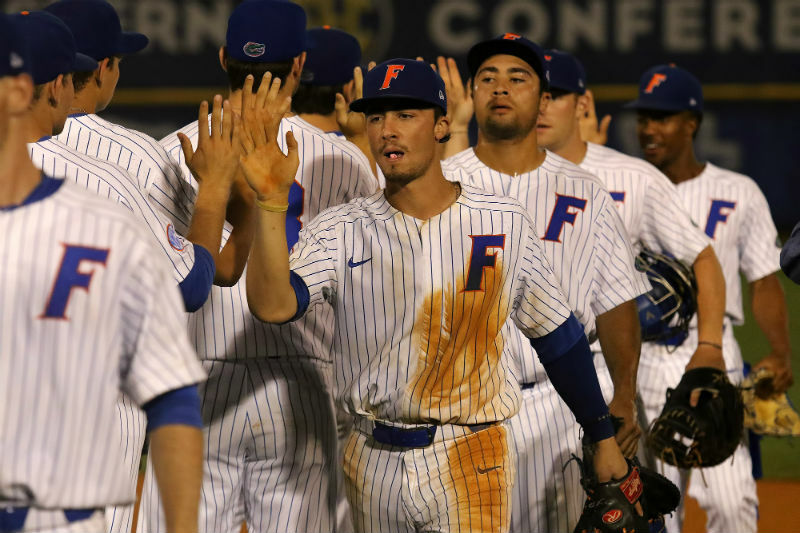 The Bulldogs will look to close out the Nashville Super Regional with another win over Vanderbilt on Saturday night, starting at 9:30 pm ET, live on ESPN, while the Beavers are favored to beat Minnesota again for their second win in the Corvallis Super Regional at Goss Stadium at Coleman Field. This game will go off at 9:30 pm on ESPN2. At noon ET in the Chapel Hill Super Regional at Bryson Field at Boshamer Stadium, North Carolina will try to close out against Stetson, live on ESPN2. Cal State Fullerton will try to stave off elimination in the Fullerton Super Regional against Washington at 6:30 pm, live on ESPNU – after losing Game 1 on Friday night. Meanwhile, bowing into action for the first time in the 2018 NCAA Super Regional is No. 1 nationally ranked Florida, which hosts Auburn in the Gainesville Super Regional at Alfred A. McKethan Stadium. Game time for this one is set for noon ET, and it will be live on ESPN. Also in action on Saturday, is No. 5 nationally ranked Arkansas against South Carolina in the Fayetteville Super Regional, starting at 6:30 pm ET, live on ESPN2. The Austin Super Regional and Lubbock Super Regional will also get underway this weekend.